It gives us a great boost when journalists, magazines and others write about what Foot Trails are doing in rural tourism. We are proud of our rural walking holidays and love it when others shout about our experiences. In the last couple of weeks Foot Trails has made the headlines in a number of different national, international and local publications including the travel section of the Independent newspaper, The Bath Chronicle, South West Business online, South West tourism news. 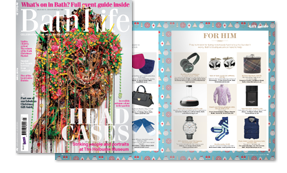 This week Bath Life Magazine have written about us in their latest edition and Bath Magazine have included a piece about us in their new December issue out now to name a few.